Recognizing the dearth of relevant empirical evidence needed to guide program design and implementation, AfECN works to support African scholars working at the intersection of research, practice and policy to advance early childhood development in the region. The scholars work to further both basic research on culture, context and child development, as well as on program and policy evaluation research. AfECN also facilitates a regional research network that engages well established global ECD scholars from within and outside the region to enhance knowledge generation, management and dissemination. Develop and provide mentorship of regional research teams targeting capacity to deepen research programs in ECD that are relevant to practice and policy in country. Mobilise resources to support knowledge generation and dissemination activities including documentation of good practices, support for broadening and deepening communication not only among scholars, but between scholars and leading government, civil society, and NGO representatives within and across countries. Develop a research agenda based on common and current knowledge gaps. Dr. Anselme Simeno Sanou, is a PhD candidate at the University of Bergen, Norway. His research is focused on child development and neuro-cognitive assessment in rural Burkina Faso, through the use of neuro-psychological tests. Previously, Dr. Sanou served as a Mandela Washington Fellow with the US State Department. Trained as a physician in Burkina Faso, he completed his master’s in Epidemiology at the University of Bordeaux and has taken a number of additional courses in clinical research, infectious disease, and maternal and child health. He is fluent in English, French and Dioula. Damaris Nelima is a nutritionist and a public health specialist who is currently pursuing her PhD in community health, with a focus on exploring caregiving practices between maternal and non-maternal caregivers. Ms. Nelima has research interests in the links between early childhood development, nutrition, and caregiving dynamics, as well as in epidemiology. Her previous experience includes running the Community Nutrition Department at Great Lakes University, overseeing nutrition in two districts as a district nutritionist, and serving as a researcher in various capacities. Ms. Nelima holds Bachelors of Science in Foods, Nutrition and Dietetics from Kenyatta University, and a Masters of Public Health from Moi University. 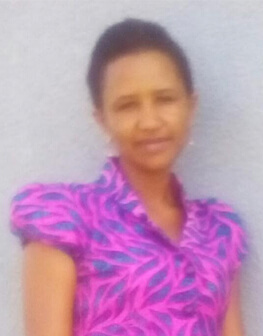 Dr. Daphina Libent works as the Head of the Statistics and Records Department, and lecturer in the Department of Psychology and Special Education at the Open University of Tanzania. Her courses include research methods in education, early childhood, and educational psychology. Dr. Libent’s previous professional experience includes working with UNICEF and the Ministry of Education and Vocational Training to assess the quality of teaching and learning in Tanzanian pre-primary classrooms, and serving as the Dean of Students at the Open University of Tanzania. She holds a PhD in Early Childhood Studies from Kenyatta University. Eileen Oluwakemi Akintemi is a PhD student in the Department of Early Childhood & Educational Foundations, University of Ibadan, Nigeria. Her PhD research is focused on the use of strategies to improve learning outcomes in pre-primary science. Her areas of research interest are early childhood science education, early childhood development, and health and safety in the early years. Ms. Akintemi has previously worked as a research assistant in the Department of Medical Microbiology, University College Hospital, Ibadan, and as a preschool teacher at the University of Ibadan Crèche. She holds a Bachelors of Science degree in Microbiology from Olabisi Onabanjo University, a Master of Education in Early Childhood Education, and a Postgraduate Diploma in Teacher Education from the University of Ibadan. 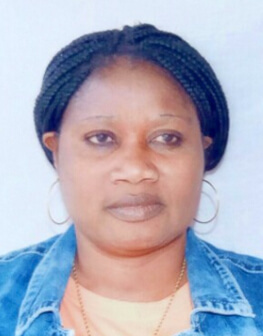 Epuchie Virginia Nkechi is a candidate for Doctor of Philosophy in Early Childhood Care and Education at the University of Ibadan, Nigeria, and lecturer in the Department of Early Childhood Care and Education at the Alvan Ikoku Federal College of Education. Her PhD research examines the use of the Igbo language to enhance the social skills of primary age pupils in Owerri. Additional areas of research interest include early childhood language education, indigenous languages, and early childhood development. Ms. Nkechi holds a Bachelor of Education in Igbo and Linguistics, and a Master of Early Childhood Care and Education from the University of Ibadan, and possesses a Nigeria Certificate of Education (N.C.E). Dr. Godfrey Ujuu, is an education psychologist with specialized training in early childhood education and development. He currently lectures at Kyambogo University on early childhood education and development and research methodologies in the field. Dr. Ujuu’s previous research experience includes early childhood curriculum and instructional materials design, the development of early learning standards, ECD advocacy, and the monitoring and evaluation of ECD policy and programming. He has worked for the National Curriculum Development Centre (NCDC), the National Council for Children (NCC), the Ministry of Education and Sports (MoES), the Directorate of Education Standards (DES), Kyambogo University, Plan International, Enhancing of Universal Primary Education in Kampala (EUPEK), UNICEF, the Christian Children’s Fund (CCF) and Early Childhood Development Training Institutions Association (ECDTIA) in matters relating to ECD. Dr. Godfrey Ujuu holds a Master of Education from Makerere University, and a PhD in Early Childhood Studies from Kenyatta University. Ibrahima Ba is a monitoring and evaluation officer for Tostan programming in Mali and Guinea Bissau. Previously, Mr. Ba worked at Stanford University, and has held positions at Tostan as a surveyor, data coder, data analyst, data manager, tool and report designer, and monitor and evaluator of the Reinforcement of Parental Practices Program (RPP) implemented in 200 communities. He holds a Master of Sociology, Anthropology and Psychology, and has received certificates in research methodology and child development from Stanford University. Jacqueline Jere-Folotiya, PhD, is an educational psychologist with over 10 years’ experience in psychology and developmental research, partnerships and corporate collaborations, project management, and lecturing at the university level. Her primary research interests include child and adolescent mental health, early childhood development, early grade literacy, the use of ICT in education, curriculum development, continuous professional development for teachers, and assessment as it relates to cultural context. Dr. Folotiya holds a Masters of Education from the University of Zambia and Yale University, and a Doctor of Philosophy in Educational Psychology from the University of Zambia and University of Jyväskylä. She is a qualified Trauma Focused Cognitive Behaviour (TF-CBT) and Common Elements Treatment Approach (CETA) therapist. Dr. Juliana Seleti is an early childhood development consultant and senior lecturer at North West University in South Africa with over 30 years’ experience in the education field. Her previous work experience includes teaching at preschool, primary, high school, and university levels, and serving as a ECD specialist for government agencies and international organisations such as UNICEF, the World Bank, and the Open Society Initiative. Dr. Seleti holds a Bachelor of Education from the University of Zambia, a Master of Early Childhood Education from the University of KwaZulu Natal, and a Doctorate of Early Childhood Education Policy from the University of Pretoria. 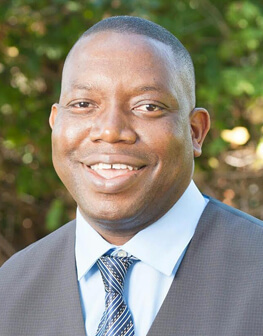 Dr. Khama Chibwana is a lecturer on early childhood development in the Department of Human Ecology at the University of Malawi, and manager of the Muula Early Childhood Development and Education Center, in Zomba. His courses encompass human lifespan development, the theory and practice of early childhood education, child development, family and community, and quantitative and qualitative research methods. 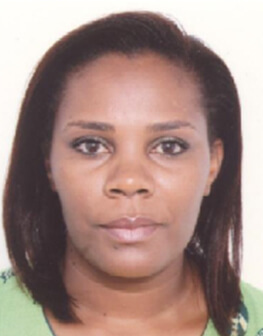 Dr. Chibwana’s research interests include exploring environmental and social influences on the development and education of children, and issues regarding resource distribution, poverty, parenting, curriculum development, and service provision for young children. Previously, Dr. Chibwana held research consultancy positions with the Ministry of Gender, Children, Disability and Social Welfare in Malawi and organisations such as UNICEF, ActionAid, and Save the Children. He holds both a Master and Doctorate of Child and Youth Care from University of Victoria, British Columbia. Martha Apolot is a candidate for Doctor of Early Childhood Studies at Kyambogo University. She currently serves as the head of the Early Childhood Education Department at Primary Teachers’ College, a part-time lecturer on early childhood education at Kyambogo University, and is in charge of development at the Early Childhood Development Resource Centre. Previously, Ms. Apolot worked as an education consultant, with extensive experience in pedagogy, and developing, implementing, supervising, and evaluating education programmes and curriculum. She holds a Master of Early Childhood Care and Education and Gender in Education from Aga Khan University. Rael Achieng Ogwari is a lecturer in the Department of Educational Psychology at Moi University in Kenya. She is currently involved in a three-year research project aimed at improving the development of young children aged 0 to 24 months among marginalised populations in selected informal settlements in Nairobi with the University of Toronto, the Alliance for Human Development and Aga Khan University. Dr. Ogwari is also participating in designing a preliminary descriptive study that will assess the impact of the Shining Hope for Communities (SHOFCO) comprehensive HIV care project in the Kibera slum. Her additional research interests include culture and childrearing practices, family relations, gender identity, emotional development, and social psychology of children. Previously, Dr. Ogwari worked to review selected literature on parenting practices and intervention programmes for the UNICEF Eastern and Southern Africa Regional Office. She holds a Doctorate of Philosophy and a Master Degree in Educational Psychology from Moi University. 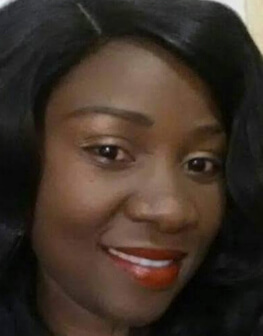 Dr. Tamara Chansa-Kabali is a developmental psychologist based at the University of Zambia where she teaches early childhood development at both undergraduate and postgraduate levels. Dr. Chansa-Kabali’s research interests include family functioning and adversity as it relates to literacy and language development, with a specific focus on child assessment in context and intervention in developmental disorders such as autism. She is passionate about the participatory monitoring and evaluation of this research. Dr. Chansa-Kabali is a founder member of the Psychology Association of Zambia (PAZ), and member of the International Society for the Study of Behavioural Development (ISSBD). Kofi Marfo, PhD, is a professor and Founding Director of the Institute for Human Development at Aga Khan University where he is co-leader of an initiative to support child development research capacity-building in Africa and is a co-convener of the African Scholars in Child/Early Child Development Workshop series. He is a member of the Governing Council of the Society for Research in Child Development and serves in advisory roles for two private foundations with substantial investments in early childhood development. Previously, Professor Marfo taught educational psychology for more than two decades at the University of South Florida, holding leadership positions such as Director of the Doctoral Program in Special Education, and Director of the Interdisciplinary Post-Doctoral Fellowship Program in School Restructuring. He has worked as a researcher and lecturer in a number of universities across the globe including University of Cape Coast, Ghana, the University of Alberta, Memorial University of Newfoundland, Canada, and Kent State University. Professor Marfo has been published extensively in the areas of early childhood intervention, childhood disability, parent-child interaction, and early childhood development and has been has been cited across these disciplines in over 180 different journals worldwide. Professor Marfo holds a PhD in Education from the University of Alberta. Professor Linda Richter, PhD, is a Distinguished Professor and the Director of the Department of Science and Technology (DST) - National Research Foundation (NRF) Centre of Excellence in Human Development at the University of the Witwatersrand. She is a Distinguished Research Fellow at the Human Sciences Research Council and an advisor to the World Health Organization in Geneva on early child development. Previously, Prof. Richter served in a number of academic posts including as a Visiting Researcher at the University of Melbourne, a Visiting Scholar at Harvard University, and a Research Associate in the Department of Psychiatry at the University of Oxford. From 2010-2012 she worked as Advisor on Vulnerable Children at the Global Fund to Fight AIDS, Tuberculosis and Malaria in Geneva. Prof. Richter has conducted both basic and policy research in the fields of child, youth and family development as applied to health, education, welfare and social development, and has published more than 400 papers and chapters. In 2016, she chaired the Steering Committee for the production of the Lancet series on early child development: Advancing Early Child Development: From Science to Scale. She holds a PhD in Psychology from the University of KwaZulu-Natal. Dr. Amina Abubakar is an associate professor of psychology and public health at Pwani University in Kenya, and co-leads the neuroscience research group at the Kenya Medical Research Institute and Welcome Trust Research Programme (KEMRI-WTRP). Her main research interests are the study of developmental delays and impairments among children exposed to health problems such as HIV, malnutrition, and malaria. A focus of this work is the development of culturally appropriate strategies for identifying, monitoring, and rehabilitating at-risk children. Previously, Dr. Abubakar served as a consultant for several international organisations including the World Health Organization, the National Academies of Sciences, Engineering and Medicine, Save the Children, Autism Speaks, and Open Society Foundations. She has co-authored more than 80 peer reviewed journal articles and book chapters, and given lectures and workshops on cross-cultural research methods in several countries including Cameroon, Germany, Indonesia, Kenya, and the Netherlands. Dr. Abubakar is an honorary fellow at the University of Oxford and has been awarded the prestigious MRC/DfID African Research Leaders award as well the Royal Society Pfizer award. Dr. Esther Foluke Akinsola is a developmental and clinical psychologist, and associate professor and lecturer in the Department of Psychology at the University of Lagos. She teaches courses in developmental psychology across the life span, including early childhood development at both undergraduate and postgraduate levels. Dr. Akinsola’s current research interests include early childhood development, positive youth development, sustainable development goals, epidemiology, correlates of children and adult attention deficit hyperactive disorders, and correlates of suicidal ideation in adolescents and adults. Dr. Akinsola is the President of the Nigerian Association of Developmental Psychologists (NADP), Member and past Secretary General of Nigerian Psychological Association; chartered member and associate fellow of the British Psychological Society, international affiliate of the American Psychological Association, executive member and country representative of the International Society for the Study of Behavioural Development (ISSBD), member of the International Association for Cross Cultural Psychology (IACCP), member of the International Association of Applied Psychologists (IAAP), and a member of the Nigerian Association of Clinical Psychologists (NACP). 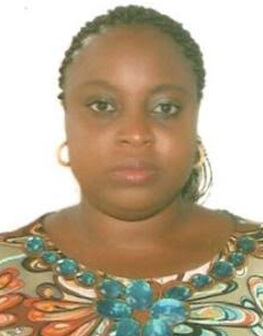 She holds a Master of Psychology and Doctorate of Developmental and Clinical Psychology from the University of Lagos. Professor Isaac K. Nyamongo is a professor of anthropology and deputy vice chancellor (Cooperative Development, Research and Innovation) at the Cooperative University of Kenya with more than 30 years’ experience in teaching, research, and consulting. Previously, Prof. Nyamongo has held research and training grants from several international organisations such as the European Union, the World Health Organization, the International Development Research Center, the Wenner Gren Foundation, and the Toyota Foundation. His research and training experience spans several countries within the Africa region including Kenya, Uganda, Mozambique, Tanzania, Zambia, South Sudan, Somalia, Ethiopia and Eritrea. He has published more than 60 peer reviewed articles in scientific journals. Prof. Nyamongo has held visiting professor positions in the US as a Fulbright Scholar, and in South Africa as a Carnegie Mellon Fellow. He holds a Doctorate of Anthropology from the University of Florida. 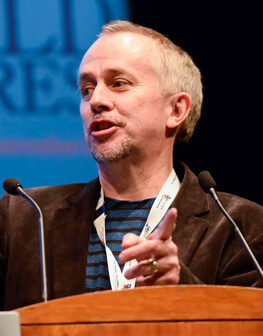 Mark Tomlinson is a professor in the Department of Psychology at Stellenbosch University, associate editor of the Infant Mental Health Journal, and serves on the International Editorial Board of Psychology, Health and Medicine. 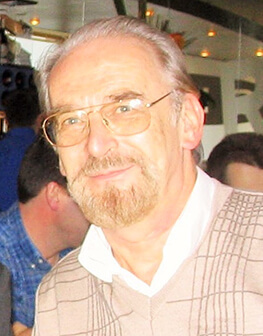 His scholarly work encompasses a diverse range of topics including compromised maternal health, understanding infant and child development in contexts of high adversity, understanding the impact of maternal depression on infant and child health and development, and how to develop community based home visiting intervention programmes. Dr. Tomlinson has received research grants from the Grand Challenges Canada, the National Institute of Alcohol Abuse and Alcoholism (NIAAA), the National Institute of Drug Abuse, the National Institute of Child Health and Development, the Department for International Development (DfID-UK), Ilifa Labantwana, the DG Murray Trust, UBS Optimus, the Elma Foundation, and UNICEF. He has published more than 170 papers in peer reviewed journals, edited two books, published numerous chapters, and served as a consultant for the World Health Organization and USAID. Prof. Tomlinson holds a Master of Clinical Psychology from the University of Cape Town, and a PhD from the University of Reading in the UK. 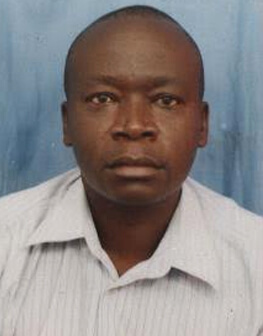 Paul Odhiambo Oburu is an associate professor in the Department of Educational Psychology at Maseno University. His research focuses on child development, vulnerability, and resilience, with particular expertise in cross-cultural applications through his work with the Parenting Across Cultures (PAC) project. He is currently the principal investigator at Majorstep Research Group, a member of the International Society for the Study of Behavioural Development (ISSBD), and a reviewer for the journal, Social Science and Medicine and Child Abuse and Neglect. 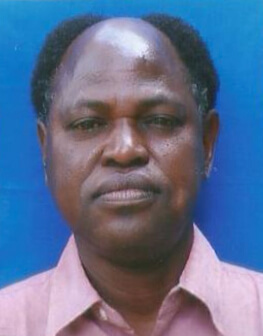 Previously, Prof. Oburu has held positions as a full-time research associate professor at Maseno University, project director of Education Quality and Learning for All (EQUAL) at New York University’s Global TIES initiative, and director of quality assurance and performance management and chairman of the Department of Educational Psychology at Maseno University among others. In 2004, Prof. Oburu won the Göteborg University award winner for the best Ph.D. thesis. Professor Oumar Barry is an assistant professor of psychology, lecturer, and researcher at the Faculty of Arts and Human Sciences at Cheikh Anta Diop University in Senegal. He has managed all projects on education and the integrated development of early childhood at the University since 1999. Prof. Barry’s research interests include psychology and early childhood development, with an Afrocentric perspective. Prior to his work at Cheikh Anta Diop University, Prof. Barry served as a consultant for research institutions like the International Food and Policy Research Institute (IFPRI), UNICEF, UNESCO and the World Bank, to support African countries such as Senegal, Niger, Mauritania, Democratic Republic of Congo, Burkina Guinea Bissau, and Guinea Conakry on issues relating to ECD. He holds a PhD in Psychology from the State University of Saint-Petersburg. Dr. Robert Serpell is a professor of applied developmental psychology at the University of Zambia, and member of the editorial board of the journal, International Perspectives in Psychology: Research, Practice and Consultation. His research interests focus on gaps in academic performance, and conceptions in intelligence and social competence, between different ethnic groups. Prof. Serpell was formerly the vice-chancellor and director of the University of Zambia’s Institute for African Studies, and the director of the graduate studies program in applied developmental psychology at the University of Maryland. His work has been widely published in peer reviewed journals across the globe. He holds a Bachelors of Psychology and Philosophy from the University of Oxford, and a Doctorate of Experimental Psychology from the University of Sussex. 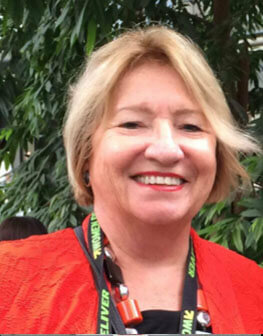 Emeritus Professor Rosemary Wildsmith-Cromarty holds an MA in Applied Linguistics from the University of Essex, UK, and a PhD from the Institute of Education, University of London. She has worked in applied linguistics at the Universities of Witwatersrand and KwaZulu-Natal and currently holds the Research chair for Early Childhood Development and Education at North-West University. 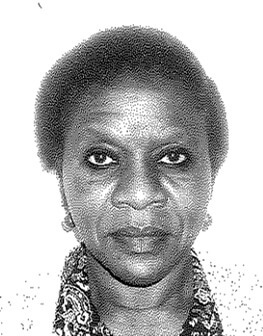 From 1999 – 2015 she was a member of the KZN Provincial Language Committee and the English National Language Body. She is on the Editorial Board of the Cambridge journal Language Teaching: Surveys and Studies and was co-editor for Applied Linguistics for the journal Southern African Linguistics and Applied Language Studies from 2009 – 2012. As an applied linguist working in language education and cognitive development, she is interested in how learners navigate their developmental path conceptually and linguistically, particularly in the early years, in linguistically complex learning environments such as those in South Africa. Her research background includes a focus on African languages and their translatability from English in subjects like Mathematics and Science; Multilingualism and language acquisition; medium of instruction issues, first and second language acquisition in English and isiZulu; language pedagogy in English and isiZulu; Critical Discourse Analysis and Reading in both African languages and English. Her current focus is on ECD/ECE and the nature and quality of provisioning at pre-school and Grade R levels which influences the degree of learner-preparedness for the Foundation Phase (FP). Related to this is the inclusion of cultural knowledge (indigenous knowledge) and the role language plays in development and learning.